How is PPC different from other forms of advertising? What are it's advantages and disadvantages? Is Adwords the only PPC provider you need to worry about? No, I'm sure there’s hundreds of PPC networks out there. Adwords is 100 times larger than all of them combined though. Who else offers PPC? How do they differ from Adwords? Both Facebook and Linkedin offer PPC which are content targeted ads as opposed to keyword targeted. This usually results in a lower click through rate relative to Adwords. Can every business benefit from PPC advertising? Not right for every business. Competitive markets are difficult because the market is saturated. In these markets it comes down to being more intelligent and innovative than your competitors. We’ve seen businesses change their whole business model just so they can get that extra 1% margin and nudge out their competitors. Which types of businesses does it suit most? Is it difficult to manage an Adwords account? Could the average small business owner do it successfully? A large E-commerce store with hundreds of products is much more difficult than a small business with only a few products. 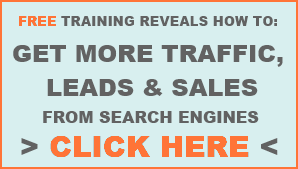 Small businesses owner’s can take over the PPC account once set up with some training. Handing over a bigger account is much more difficult. What aspect of managing an account takes the most time? How much should a business expect to pay to have their account managed by someone else? Lead generation websites are generally cheaper, while E-commerce site are more expensive. There’s no upper limit if it works. What benefits can an Adwords professional deliver that a regular business owner can't? There’s much more trial and error for the small business owner. Is there a minimum ad spend recommended? $25/day at least ($750- $1000/month)- less makes results take longer to come back. Adwords advertising is entirely a data driven problem. You want to get data back as soon as possible so you can improve your ads and campaigns. The same numbers apply if someone was doing it themselves. What is 'Quality Score?' What is it used for? Quality score is a measure from 1-10 of the quality of a keyword in relation to the rest of a campaign. The purpose of quality score is to make the ad experience better for the user. Quality Score is the most important part of an Adwords campaign. Structure your entire Adwords account more logically to be mirror your website structure. Everything affects quality score. Campaign and landing page relevance and keywords are the most important. What's the difference between Google's display network and their regular search results ads? Search results are displayed on Google's SERPs and their partner’s websites e.g. Hotfrog. The Display Network allows advertisers to deliver text ads, image ads and video ads to third party websites which have elected to be a part of the network. Do the two mediums require a different strategy? Yes. User intents differ so our strategies must differ. Search is more targeted so you can target your ad to their intent. Ads on the display network are targeted by the content of the page. They generally have a lower click through rate. These ads are generally more useful for a branding strategy- similar to Facebook and Linkedin. The display network targets ads either by keywords on the page or by choosing a ‘theme’ of website to target. Website themes are assigned by Google. Trial and error to decide which is best. You can also use ‘negative keywords’ or 'negative sites' to identify websites you don’t want to have your ads appear on. There are three keyword targeting options, ‘broad,’ ‘phrase’ and ‘exact’ match. We never use the traditional broad match for our keywords, there's plenty of neat tricks you can use by combining keyword targeting options. What kind of businesses/ads are best targeted to mobile internet devices? If you are going to send traffic to a website on a mobile device then it should be mobile optimised. Is location an important targeting factor to consider? How can location targeting be used to improve a campaign? You also might use different strategies for different regions, e.g. different capital cities. Maybe Melbourne has an event coming up that you can incorporate into your ads. Is it easy to track PPC performance? Yes. Very easy to track everything. Tracking codes can sometimes be difficult for E-commerce sites. In competitive markets, which aspects of PPC advertising become more difficult to manage successfully? In competitive markets it becomes important to optimise every aspect of a campaign to get the highest return for the lowest cost. Are landing pages important for improving PPC performance? On the website side its all about conversion rate. You should always send traffic to a specific landing page rather than the home page. This could be a product or category page or a sales page. I prefer to use a simple landing page and stay away from long form sales pages. How should your website be set up to maximise performance? What can you do to reduce competition? What are five things small business owners can do to best take advantage of PPC advertising? How does PPC relate to SEO? How do PPC and SEO costs and returns compare? PPC has tighter margins and returns. It gets results quickly and is easy to measure. Re-marketing is an interesting feature that allows you to re-market to people who have already been to your website. This generally results in a higher conversion rate because they people are pre-qualified. Mobile ads can also include click-to-call phone numbers which are easy to track. One thing that can be more difficult to track is when people see your phone number in an ad or on your website and then call you, giving you no indication where they got your number from. It’s possible to get a dedicated phone number in order to track these types of leads. A separate number costs around $50 a month plus call costs – from our experience, for lead generation, phone calls leads from Adwords can be up to 50% of total leads. Thanks again to Chris for his generous donation of time and knowledge and thanks to The Search Guys for having me at their office. You can read more about The Search Guys' services at their company profile in our Internet Marketing Business Directory. This entry was posted in Interviews,Pay Per Click (PPC). Bookmark the permalink.